Janette Vince owner and practitioner of Designer Permanent Makeup is a fully Certified Semi Permanent Cosmetics Professional who has several years experience in the industry. She adheres to the strict rules of this certification which includes the highest level of hygiene standards, together with ongoing courses in the latest technology and techniques in the industry. 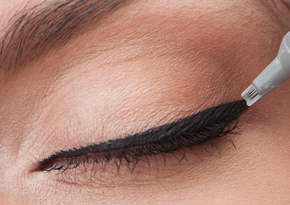 Well defined eyes have a positive impact on the entire face, and with semi permanent eyeliner you will achieve this look without effort from the moment you wake up. Lip tattoos are becoming increasingly popular in this busy world we live in. We all know how long it can take us to draw the outside lip line then colouring it in. With thick eyebrows very much in vogue at the moment, eyebrow tattooing is currently one of our most in-demand forms of permanent make up at our London clinic. Permanent Makeup (also known as micro-pigmentation or facial tattooing) is a non-surgical procedure that introduces hypo-allergenic medical grade pigments into the dermal layer of the skin. Although often described as semi permanent, it is actually classed as a permanent makeup procedure because the pigments are being introduced into the upper dermal layer of the skin and whilst they may fade with time, the pigments will always remain in the skin even if they not completely visible. Permanent makeup, also known as micro pigmentation, permanent cosmetics, cosmetic tattooing etc. is suitable for clients over the age of 18 and is a more refined version of traditional tattooing. 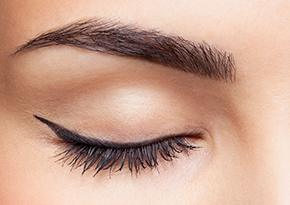 The most popular permanent makeup procedure in my London salon is eyebrow tattooing, mainly due to over plucking when younger or as we age eyebrows tend to get thinner, but whatever the reason, having an eyebrow enhancement procedure can really make a difference to someone’s confidence, not to mention the time saved with not having to pencil on eyebrows in the morning. Eyebrow tattoo procedures are now much more advanced with a choice of a soft defused look much like the penciled on eyebrow to a fine micro hair strokes to give a wonderful 3D effect. We all like to look our best, so imagine how great it would be to wake up looking good in the morning. Well you can with permanent makeup, no need to spend all that time putting makeup on, now you can have perfectly shaped eyebrows, pretty eyeliner, giving you a wide awake look and beautifully contoured lips. All perfectly in place without the risk of smudging. 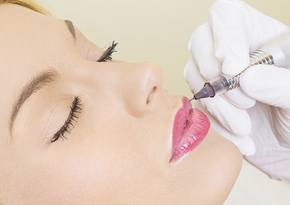 What’s the difference between permanent and semi permanent makeup? There is no difference, it's just another name for the same treatment, it can also be known as, micro pigmentation and permanent cosmetics. Most people are suitable for permanent makeup. Suitability will be established at the initial consultation, which will include a discussion about your treatment of choice and what you hope to achieve. This is a one to one consultation, which will also include a patch test. Permanent makeup can last several years, however, like all tattoos it does fade and this is dependent on several factors including skin type, lifestyle and exposure to the sun. It does need to be refreshed to keep it nice and vibrant and this is recommended at approximately 12 to 18 months, although for some people this can be longer. Absolutely. These pigments have been developed over years of research making them the leading formulas for permanent cosmetic pigments today. These pigments set the standard for quality permanent cosmetics for the industry. Over the years these pigments have been proven to be safe, long lasting and fade resistant. The procedure is performed with your comfort in mind. For this reason, anaesthetic gel is applied prior to treatment to minimise discomfort. Before the treatment has even started, colour analysis and shape will be discussed and then drawn on with eyebrow, eyeliner or lip liner pencil. This is a very important stage in order to get the treatment exactly how the client would like it and not until the client is 100% satisfied is the final part of the procedure (tattooing) undertaken. Sadly to say this is not the case with all technicians. Rest assured the Nouveau Contour machine used is one of the most technologically advanced machines available. It uses ‘single use’ disposable cartridges and is completely safe against cross contamination. Janette Vince CPCP is a Certified Permanent Cosmetic Professional and follows strict guidelines set by the Society of Permanent Cosmetic Professionals (SPCP). It is not advisable to tint or perm your eyelashes for at least one week before treatment and for two weeks after. It is also not advisable to tint your eyebrows although shaping is fine. If you are having a lip treatment done and you have ever suffered from a cold sore or fever blister, even if only once, you will need to get a prescription for Aciclovir tablets. Please bring glasses to wear after your eyeliner procedure as contact lenses cannot be worn for 24 hours post procedurally. Any questions? Please fill out the form below and we'll get back to you ASAP.